McDaniel Mobile Notary is Woman-Owned Business Enterprise in Austin, TX. We have been providing efficient and reliable notary services since 1995 and loan signings since 2000. Other mobile notaries may offer similar services, but we bring 18 years of paralegal experience to the table. Claire has 20 years of notary experience, which includes 15 years as a signing agent for over 2,000 loan closings. She has taught notary public training classes for corporate clients. 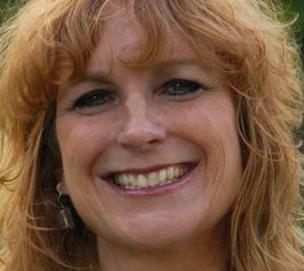 In addition, she brings 18 years of paralegal experience to the table. Claire is also an experienced court records researcher and process server. Her vast experience includes Apostilles and corporate filings with the Texas Secretary of State's office. Claire is a graduate of the UCLA School of Law paralegal program and has taught several paralegal seminars. She received her BA in Journalism from Kansas State University. She has edited 2 books, created professional newsletters and worked as a freelance proofreader for a variety of publications, including legal manuals and court briefs. She is currently earning her master's degree from Walden University. 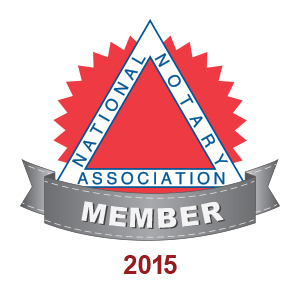 McDaniel Mobile Notary is the loan signing and notarial expert in the Austin area with 20 years of experience. WE do the driving so You don't have to!!! With Austin traffic, that is a real plus!!! McDaniel Mobile Notary's notaries are not attorneys or a law office; we are not licensed to practice law in Texas and may not give legal advice or accept fees for legal advice. Under the Texas Admin. Code 87.43, a notary public is prohibited by law to act in the capacity of an attorney, give advice in preparing legal documents, issue identification cards, distribute confidential information or perform any notarial act unless the signer is present.